Sure, Bevan may never have learned how to ride a two-wheeler in real life (yes, that is true), but boy does my main man love himself a spin class. 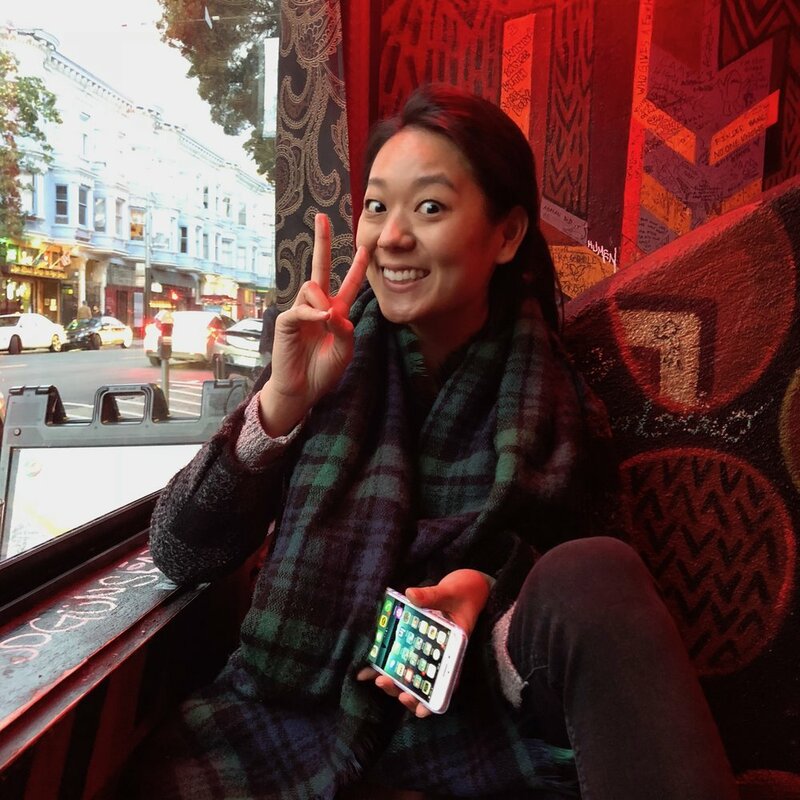 After work last night Sylvia (she's the person in the picture above these words) and I tossed back brews at Noc Noc in the Lower Haight before heading down the street to Nickies for buffalo wings and college basketball and while we were there she surreptitiously snapped a v. flattering photo of me living my best life and then shared it with the queens on our group text and now it's a complete and total mystery to me why people from all over the world don't make pilgrimages to San Francisco just to watch me eat. Okay well I guess I was wrong. 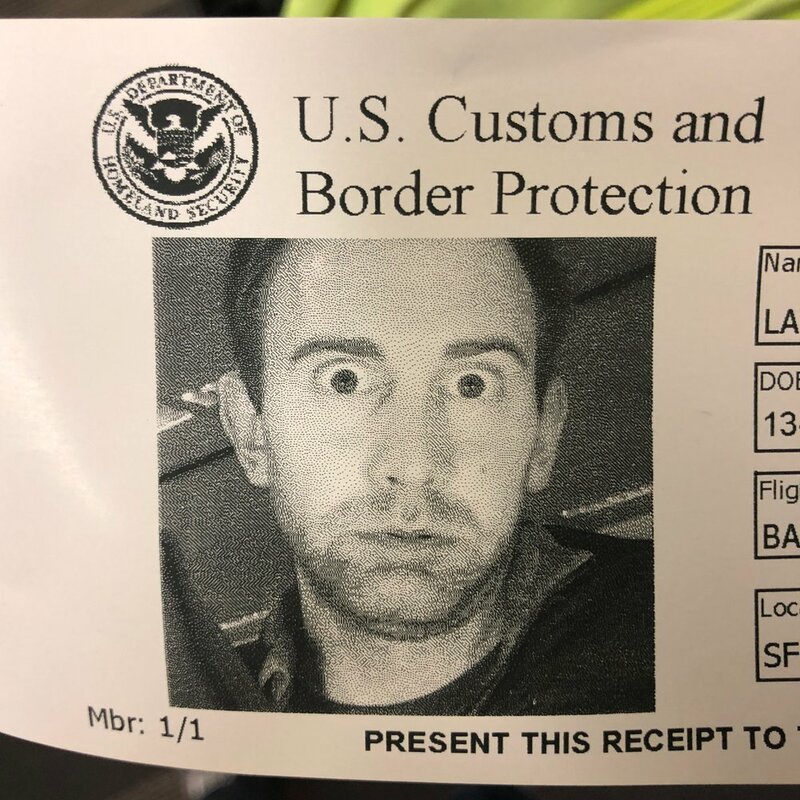 The picture that the U.S. Department of Homeland Security's passport verification machine snapped of me shortly after I walked off the plane from London earlier tonight oh-so-perfectly captures the too-raw emotion I was feeling in the moment that it was taken—utter stupefaction after having just spent eleven consecutive hours trapped in another person's fart cloud.